Maybe it’s a reaction against the glamourous outdoor lifestyle gardens of recent times, with their monochrome colour palettes, their outdoor kitchens hinting at a life of material ease (‘you wish’) and suggesting that at any moment one could dive into the oscillating reflection of the ubiquitous swimming pool, before retiring without a care to the professionally-finished powder-coated perforated metal arbour to look out and admire the polished bluestone pavement. Or maybe it’s a reaction to the overbuilt urban context in which so many of us live these days, accompanied by our anxiety for the destruction of the natural world. I can’t be sure, but this year at MIFGS the judges in each of the three categories, were very much rewarding a more natural approach. The winning gardens incorporated a rich diversity of plants, with an emphasis on indigenous species that will offer homes to native insects and animals. They uses natural materials and ‘improved’ them by adding intricate details to those materials. As in the best in show garden, Phillip Withers “I See Wild” (see my previous post), the theme of wild nature recurred in a garden produced by Stem Landscape Architecture and Design. 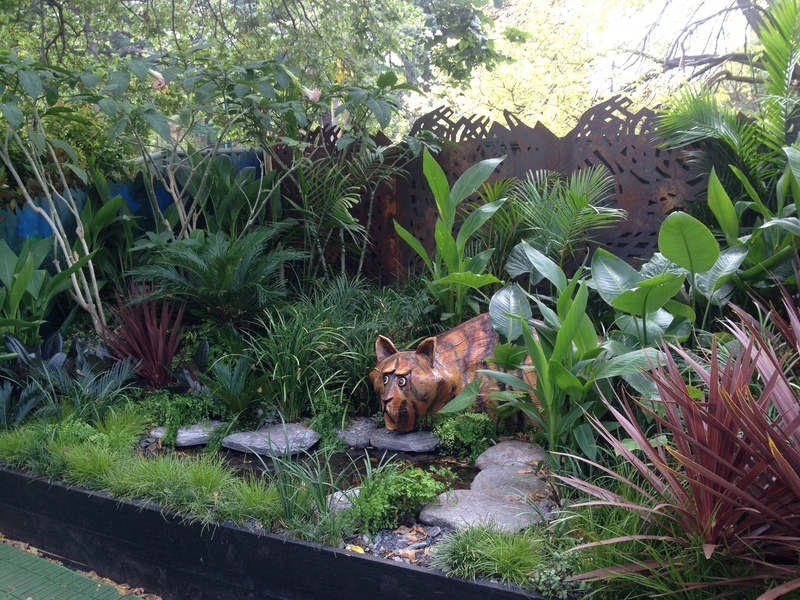 Stem’s Emmaline Bowman’s ‘Wild at Heart’ was the winner of the Landscaping Victoria Boutique Garden Award and could almost be viewed as a companion piece to the winning show garden by Withers. 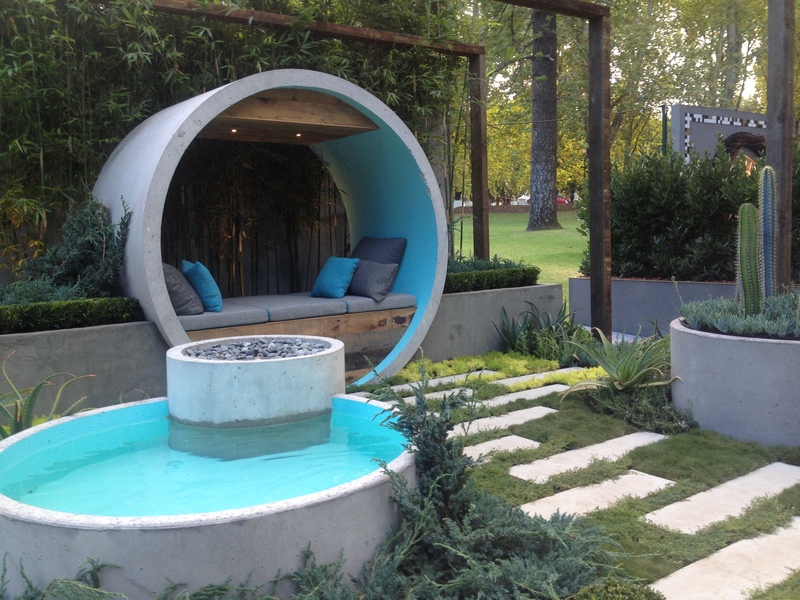 This was a sensual and experiential garden: the naturalistic water feature, the resident rainbow lorikeet, the pobblebonk soundtrack, the subtle interplay of colour of flowers and foliage, the swinging bench with cushions and throw rug inviting the visitor to the garden to rest and relax. All combined to create for me the most engaging garden of all of this year’s offerings. The planting was mostly indigenous, with exotic food and medicinal plants topping up the display. 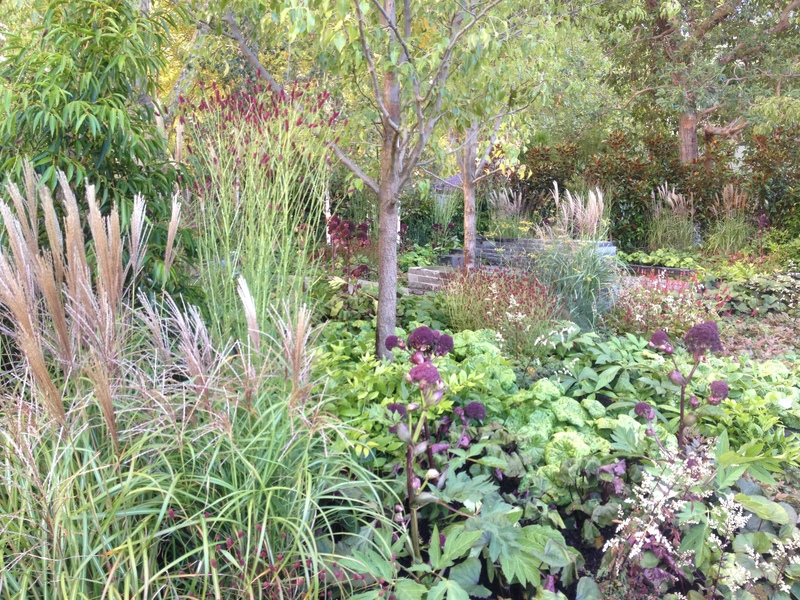 The designer created interesting artistic vignettes within the overall ‘wild’ feeling of the planting. From within what at first seemed a fairly routine interpretation of a native bushland arose the energetic tousling of the Purple Loosestrife (Lythrum salicaria) and Billy Buttons (Pycnosorus globosus), which was delightful in terms of both form and colour. Nearby was an elegant study in creamy white, mauve and grey-green. White brachyscome, Ozothamnus diosmifolius, and the ground hugging native violet (Viola hederacea) were enlivened by some glaucous foliage of poa. The delicate beauty of Wahlenbergia stricta and Vanilla Lily (Arthropodium sp.) completed the picture with a few small blue and purple flowers. Such attention to detail seemed to be part of the winning formula this year. These plants grew from the midst of volcanic boulders and interestingly shaped pieces of natural timber that gave the impression of a bushland scene as well. However, this garden made clear that it was not without refinement. The whitewashed timber of the ‘retaining wall’ and the structure of the swinging chair gave a hint that natural materials can be enhanced by artifice. I was particularly transfixed by what appeared to be handpainted geometric patterns on the risers of the recycled hardwood steps. Curvilinear patterns had been drilled into the recycled timber fencing, too. Withers and Bowman are obviously part of a zeitgeist whose influence could also be found in the achievable gardens section. There is much enthusiasm and passion spent by design and horticulture students in the Avenue of Achievable Gardens. ‘Awash with Nature’, a collaboration between Ross Peck, Liz Beale and Dale Johnson from Swinburne won the award for excellence. Here habitat for inscects was integral to the design as it was also in ‘Wild at Heart’. Bee hotels abounded. The pavement of sawn bluestone boulders embedded confidently in granitic sand created a calm feeling. 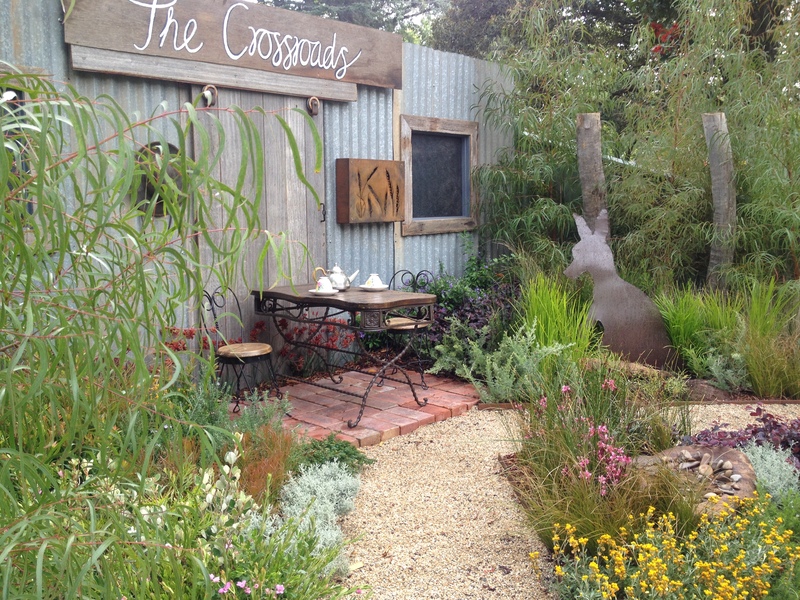 This was reinforced by a restrained choice of native plants and the sparing use of recycled and repurposed materials. Such discipline of design was a standout feature of this garden. But this time, the restraint did not mean boring lack of detail. I can’t wait to see how this natural garden revival plays out over time. So familiar that it has gathered around it an entourage of common names (pig’s ears, paddle plant, navelwort) this sturdy and humble succulent is a survivor. 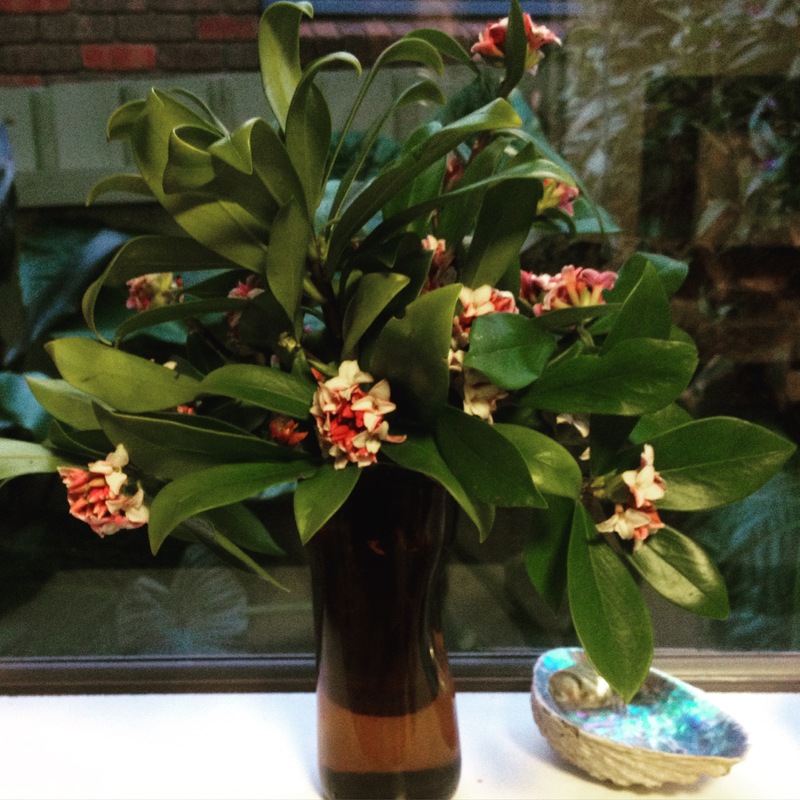 It can cope with South Gippsland winters (although only happily if it is kept safe from frosts and its root run is not sodden) and it thrives in Melbourne where I have it growing under the eaves where it flourishes on it’s thick stem and its fleshy, vibrant leaves shine. I find that if it gets too much moisture in the winter, its leaves can become spotty and its flowers are less strident. Hence the eaves, or maybe under trees as long as it has access to a goodly amount of sunlight. This makes perfect sense, when you remember that it comes from southern Africa, where it is found in hot, free draining locations, like rocky hillsides and cliff faces and in the sand of coastal flats. Check out the links below if you want to find out more. 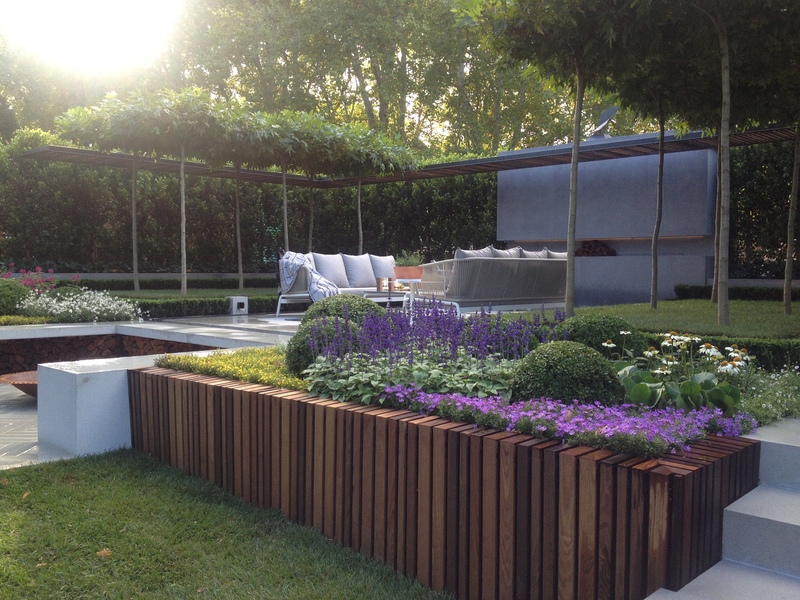 The Melbourne International Flower and Garden Show is an exciting celebration of the horticultural industry in Victoria and is adored by professional and amateur gardeners and garden lovers who flock in large numbers every year to see the latest design gardens, products, and plants. The show gardens are my favourite thing to see. I am always astounded by the amazing planting and design ideas. And sometimes I just stand there wondering how they did it. How in a very few days are they able to assemble gardens that realistically would take months if not years to achieve in the real world? The skill involved in creating these show gardens is extraordinary. My favourites have been included above and below. 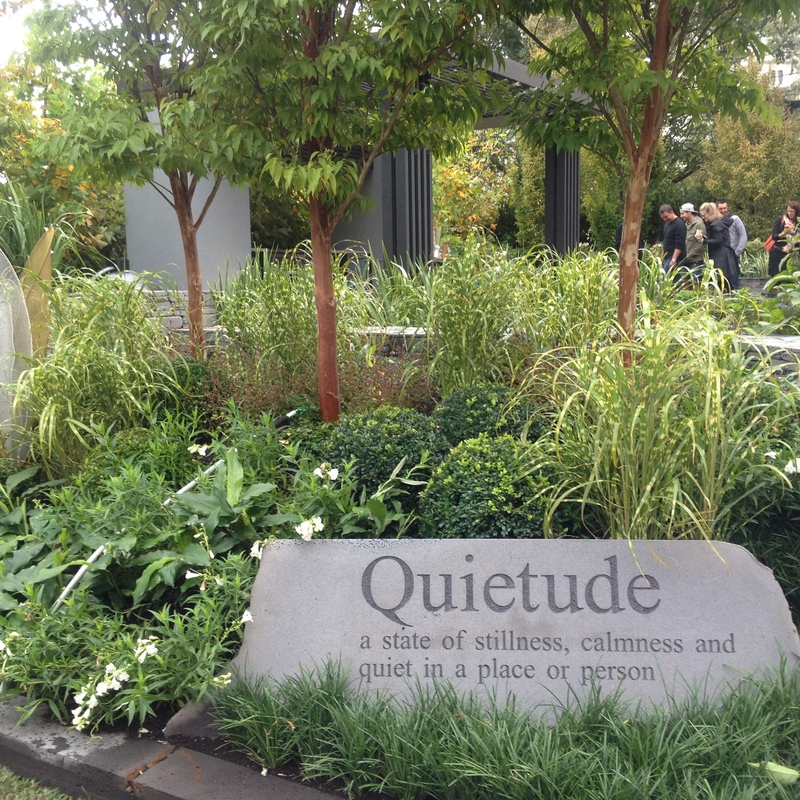 And the organisers of the Show realise that the show gardens are really unachievable for the majority of gardeners, or at least their budgets. Hence the other competition gardens that are much smaller and known as the “achievable” gardens. These were also highly inspiring. They are achievable in the sense that the home gardener would be able to create something like them, with reasonable budgets and readily available materials. My favourites were the ‘Rousseau Jungle’ by Heather Forward and ‘The Crossroads’ by Ben Newell. Another category was the boutique gardens, which fits somewhere in aspiration and budget somewhere between the other two categories. I liked the winning entry ‘Pipe Dreams’ by Alison Douglas. And of course there are the amazing flower arrangements in the Exhibition Building, which are amazing and creative and are inspiring to the gardener in many ways, including in the colour and texture combinations that the florists come up with. There are also some great displays by businesses who are there to promote their products, including nurseries. These are always the greatest temptation and I see gardeners walking away with trolly loads of plants. This year, I was able to restrain myself and I only bought a few corms species tulips. Thankfully I had travelled to the show on my bike! 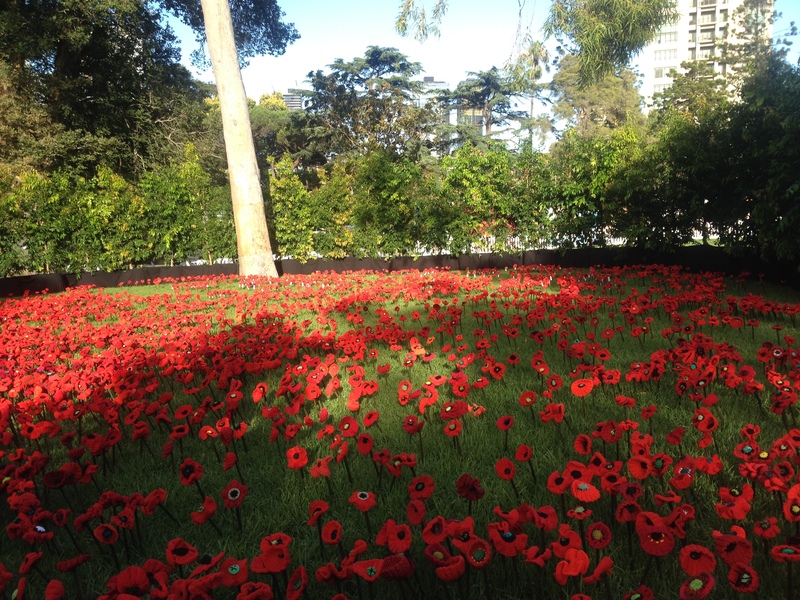 Phillip Johnson’s field of poppies.